Strategic Location Located within the vicinity of major healthcare, commercial, residential, institutional, and service establishments, a resident of McKinley Park Residences is just a stroll away from world-class St. Lukes Medical Center, Jollibee/Bonifacio Stopover, Market Market, Pricesmart, and host of International Schools. Rising at the corner of 3rd Avenue and 31st Street, McKinley Park Residences is minutes away from either C-5 road, EDSA, and the Makati and Ortigas Central Business Districts. 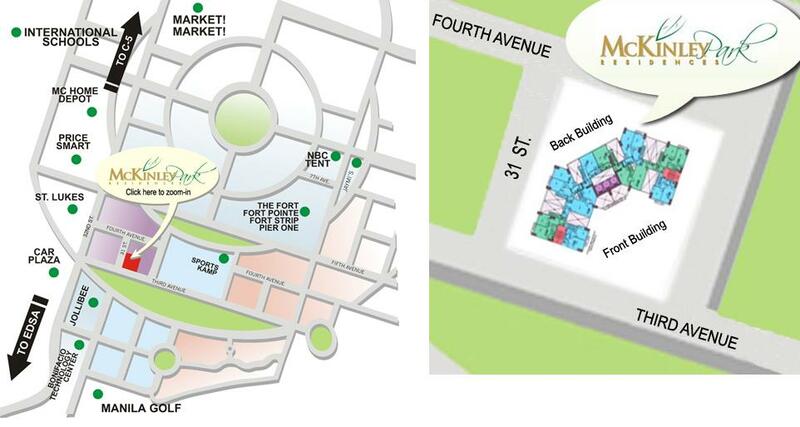 McKinley Park Residences is available in quality-affordable one, two and three-bedroom loft type units. 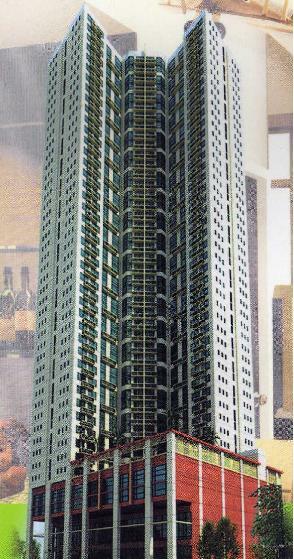 The units could go as low as P2.52M for the 1BR, P4.5M for the 2BR and P6.5M for the 3BR. The attractive payment schemes allows affordable monthly payments for as low as P24,700.00 giving clients more budgetary room and peace of mind. 2 BR = 66.58 to 70.12 sq.m. Towering at 43-storey height, McKinley Park Residences offers breathtaking views (corner views for two and three-bedroom units) of either the Makati/Ortigas Skyline, Manila Bay, Forbes Park, Manila Golf, or the magnificent Antipolo/Rizal range. With wide outdoor open space and numerous exclusive amenities to choose from, you can pursue a healthy and well-balanced lifestyle will allow you to run, play and enjoy life's colorful moments. MC KINLEY PARK RESIDENCES INQUIRY FORM.